After years of research and testing, COSMO Racing has been a pioneer automobile performance tuner for ACURA and many other foreign auto makers. Furthermore, COSMO Racing not only strive participating in street tuning but also sponsoring in many racing events worldwide. *Fits on all ACURA TL 2004-2008 BASE/TYPE-S 3.2L/ 3.5L ..
*Fits on all TL 2009-2014 3.5L/3.7L 6-SPEEDs models wit..
*Fits on all Accord EX/EX-L/I4/LX-S 2008-20..
*Fits on all ACCORD 2003-2007 5 or 6-SPEEDs model.. 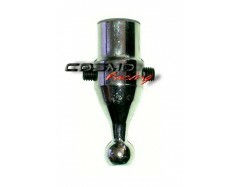 Copyright © 2019 - Back in STOCK: Short Shifter Adapter Honda Accord/ Acura TL – Street Tuning | COSMO Racing | All Rights Reserved by COSMO Racing Inc.